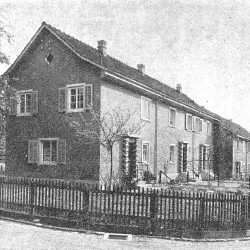 Around 1929 the building cooparative „Allmend“ built 27 double and row houses with the architect Hermann Fietz in Zollikon. 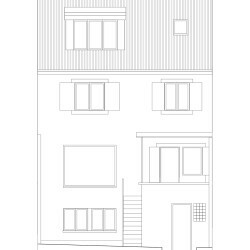 In the sense of the upcoming swiss small houses movement, they developed three-storey, scarce but functionally and very affordable homes. 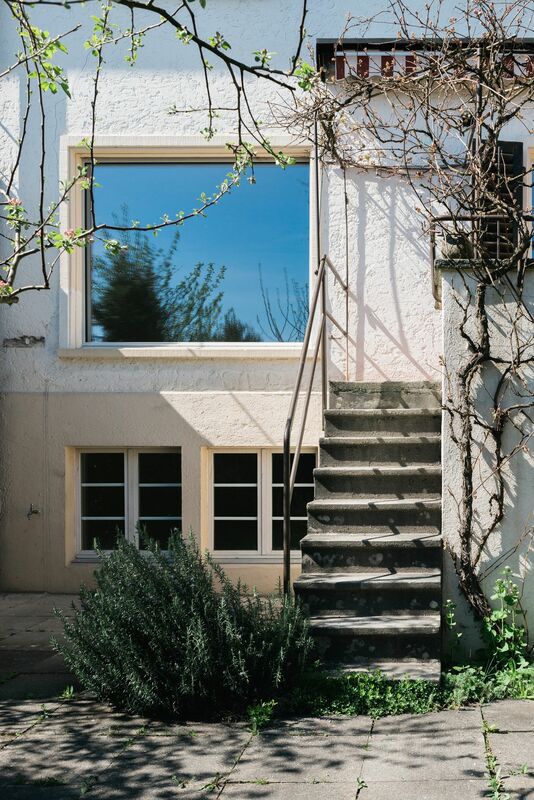 A house costing a maximum of 35’000.- swiss francs, depending on the size and the amount of land. They trusted in a simple yet specific structure. 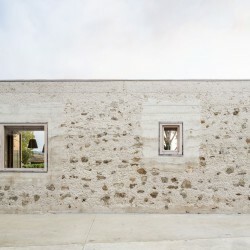 Thin cement stone masonry walls bear the timber structure (14x8cm). 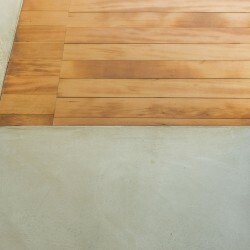 The wooden floors are directly nailed to the structure. The ceiling as well as the exterior walls were clad with 2cm thick slag plate. In this way, a good moisture content and at the same time a marginal thermal insulation could be achieved. 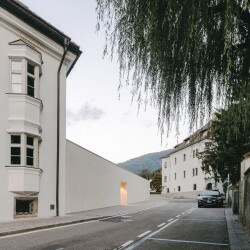 The combination of almost membrane-like (6 to 8cm) thin inner walls and the very narrowly dimensioned windows, led to a paper-like spatial feeling. 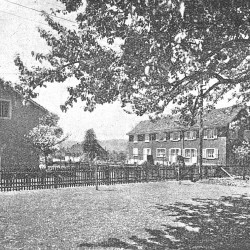 We were fortunate to be able to deal with one of very few houses, which in the course of time was only changed slighty and very gently. 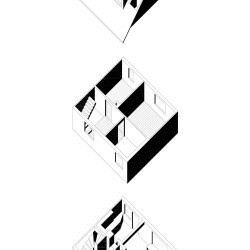 The spatial structure as well as the surfaces were in the original state – which was quite a surprise given the age and the simple construction of the building. Only the attic (originally a not developed screed) was completely rebuilt in 1998 and supplemented with two large dormer windows. 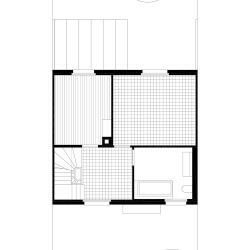 As part of the same modification one of the rooms in the first floor was transofrmed from bedroom to bathroom without changing size or proportion. As pleasing as the almost original state was, so challenging was the condition of the inner surfaces. The maintenance was mostly neglected for decades and most of all the slag plates proved to b e hardly sanitizable. In an intense research and a long lasting discussion with the owner we could achieve a strategy, which partly protects the existing and tries to strenghten the original ideals of the building where we have to replaces surfaces. The absolute simplicity in how things were made is really soothing from todays point of view. There are almost no layers and only very few different materials. This could be achieved in 1929 with a very intelligent approach in construction: using only materials that could fulfill multiple purposes at the same time. 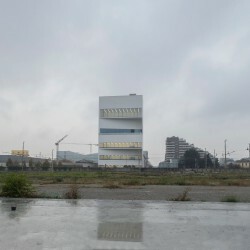 The project consists of a trilogy of interventions. 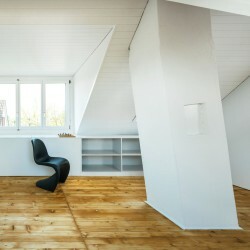 From the radical changes in the groundfloor to the gentle restoration of the first floor to a modest yet effective coplementation of the attic. The three are held together by the same poetic directness of the transformation. Joining the rooms of the ground floor to create a new openness, presents some technical but above all some formal challenges. 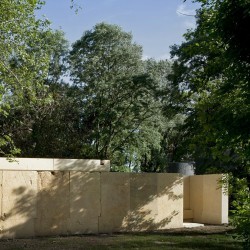 The house was structured with walls, which, in their absolute thinness, seem to just bear the existing loads. 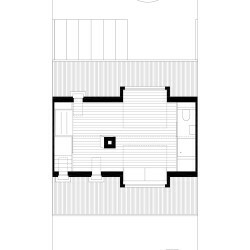 A jump in room size and scale is fundamentally alien here and brings the risk to undermine the spatial calmness and self-evidentness of the given spaces. To handle this situation we were looking for a strategy that can both, add the new and protect the togetherness and the relaxed juxtaposition of the spatial elements. 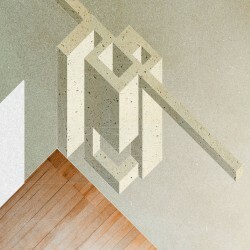 An expressive concrete sculpture standing in the middle of the groundfloor and expanding to different extents in different directions. It might surprise at firt glance by its sheer mass and geometrical complexity, but it supports the wooden ceiling, carries the loads of the upper storey, creates a fireplace and storage for firewood, zones the space in functionally and atmospherically different areas and characterizes the space with it’s materiality. 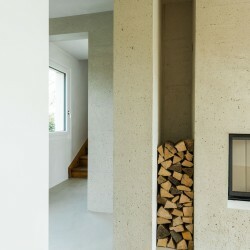 With it’s mass it, above all, adds centre and weight to the house. The proportions and expressive shape are both, structural element but also sculpture. 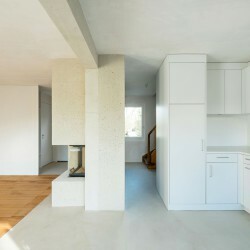 This shifts the perception of the new openness from a structural effort to a familiar side by side of elements. 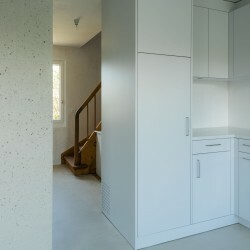 In order to cast the new concrete structure in a tiny house, the formwork and the pouring of the concrete had to be minutely planned. On the ground floor, besides the extensive formwork, there was only a very small passage for accessibility and the important vibration of concrete. On the upper storey, existing floors had to be temporarily opened so that the concrete could be evenly distributed in all the arms and parts of the sculpture. 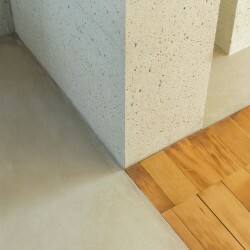 A rather tough mixture of white cement and broken, local limestone was sandblasted directly after the stripping , in order to reveal the typical air inclusions and to give the material more depth. 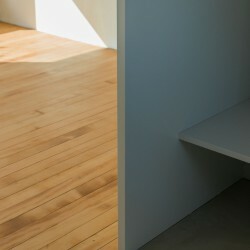 It perfectly blends in the interplay of existing unsealed surfaces and materials and links to the open-pored haptic qualities of the 1929 house. 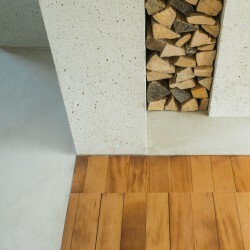 The velvety and rather rough conrete body, the new oiled cement spatula floor and the uncoated lime-cement plaster meet the right tone for a self-assured but calm interpretation of the space. 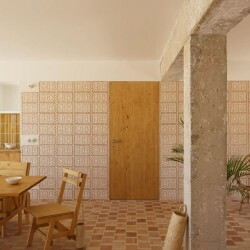 The existing wooden floor was cut up rather inconspiciously and reassembled in it’s geometry to a new whole. Parts of the waste were reused to restore the had-to-be-destroyed area under the concrete framework in front of the chimney. 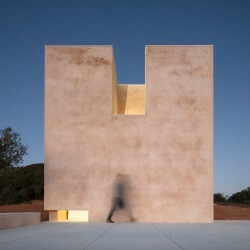 Thus, the floor is today a simplified, carpet-like element between entrance, concrete sculpture and garden facade. 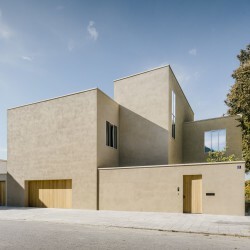 On the garden facade is the only externally visible intervention of the conversion. The parapet height of the living room window has been carefully adjusted. The old window sill was removed from the wall and walled at a lower height again. The relief of the side gowns were reproduced using simple wooden framework and concrete casting again. The existing chamber structure remains intact on the first floor. Accordingly, the slag panels on the ceiling were carefully refreshed and preserves. The floors were uncovered and grinded and oiled. 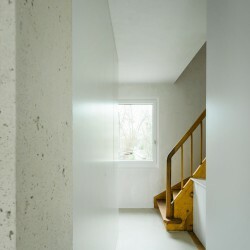 The new lime-cement plaster surfaces fit in with their lively and open-pored texture between the existing woodwork of doors, window frames and ceiling edge strips. 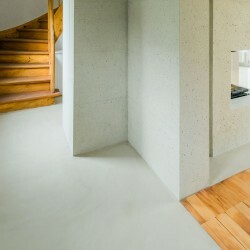 The high quality of surfaces compared to todays regular synthetic materials of system-suppliers, are a real pleasure. 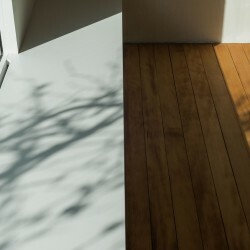 Thus, the subtleties of light and the depth and haptics of all used materials, old and new, makes us perceive the ordinary as a quality for everyday life. The top floor, originally designed as an unheated screed, was given a new roof with two dormer windows in 1998. 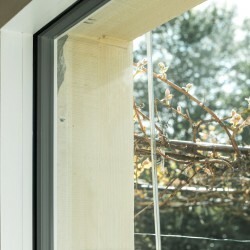 Only these made the low roof space with sill walls of only 30cm usuable as a living space. 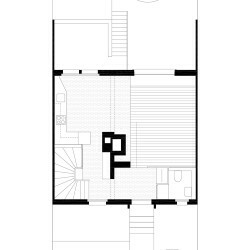 The resulting areas had a room height of 2.30m in the middle and is exposed to daylight. 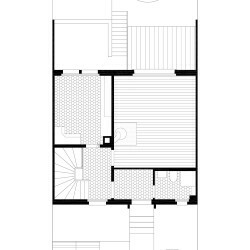 The proportions of the room, however, remained unfavorable, and the niches and remaining areas beside the dormer windows were still impossible to be furnished. 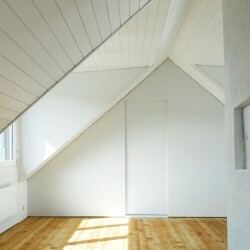 Also neither the windows nor the paneled roof could give the space a pleasing atmosphere. 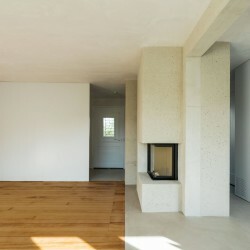 The only identity-creating elements to be found here are the fir floor and the oblique standing chimeny. We added two new, 85cm deep room layers on the short sides of the storey. 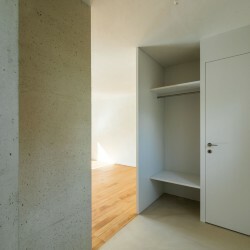 They regulate the overall proportions and make the appearence of the space much more calm. As in a caravan, the walls become roomy and functional. 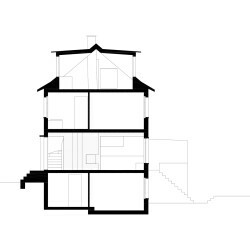 The first layer includes the steep staircase as well as a spacious warderobe and a hat compartement. 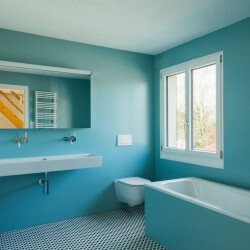 Opposite, the wall contains a shower with a toilet and a lavabo as well as the new distribution of all technical installations. On the street side, a deep sideboard pushes the edge of the room further towards the gable. So the lowest walkable area of the room measures 1.50m and makes it possible to properly furniture a bed. 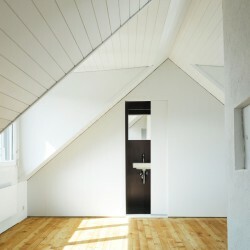 The existing paneling, the window frames, the chimney and all new surfaces are painted in a silky white tone. This, in combination with the lively fir floor, leads to a certain calmess for the small room with many angles and edges and emphasizes the view into the properties beautiful garden. 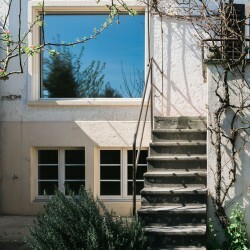 Die Baugenossenschaft Allmend baute bis 1929 in Zollikon 27 Doppel- und Reihenhäuser mit dem Architekten Hermann Fietz. 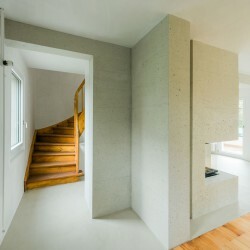 Ganz im Sinne der Kleinhäuser, welche zu dieser Zeit von vielen Architekten und Genossenschaften entwickelt wurden, entstanden dreigeschossige, knapp aber funktional bemessene, erschwingliche Eigenheime. 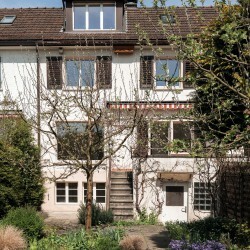 Ein Haus kostete, je nach Grösse und Landanteil, bis maximal 35'000 CHF. Man vertraute auf eine einfache Struktur. Dünne Zementstein-Mauerwerke tragen gerichtete Holzbalkendecken (14 x 8cm) auf welche direkt die Bretterböden genagelt wurden. Die Deckenuntersichten wie auch die Aussenwände wurden mit einer 2cm starken Schlacke-Platte verkleidet. Dieselbe Platte wurde bei den inneren Leichtbauwänden als Beplankung verwendet. 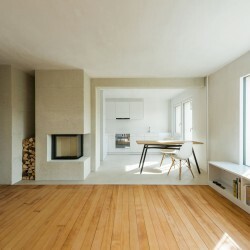 So konnte ein guter Feuchtehaushalt und gleichzeitig eine minimale thermische Dämmung der Wohnungen erreicht werden. 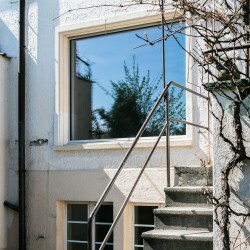 Die Kombination der fast membranartig (6 bis 9cm) dünnen Innenwände und der sehr knapp bemessenen Fenster, führten zu einem papierartigen und – trotz Kammergrundriss – leichten Raumgefühl. Wir hatten das Glück, uns mit einem der Häuser auseinanderzusetzen zu dürfen, welches im Laufe der Zeit nur wenig und nur sehr sanft verändert wurde. Die Raumstruktur wie auch die Oberflächen waren im Originalzustand. 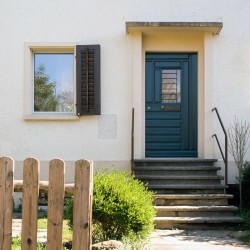 Einzig das Dachgeschoss (früher ein nicht ausgebauter Estrich) wurde 1998 komplett umgebaut und mit zwei grossen Lukarnen ergänzt. 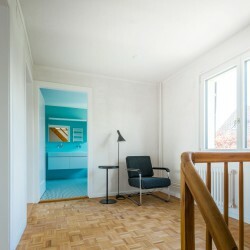 Gleichzeitig wurde ein Zimmer im 1. Obergeschoss (ohne seine Grösse und Proportion zu verändern) zu einem Bad umgenutzt. So erfreulich die wenigen Veränderungen waren, so ernüchternd war der Zustand der inneren Oberflächen. Über Jahrzehnte wurde der Unterhalt vernachlässigt und vor allem die Schlacke-Platten zeigten sich als kaum sanierbar. In einer intensiven Auseinandersetzung mit Haus und Auftraggeber, konnte eine Strategie gefunden werden, welche das bestehende Haus teils schützt und teils stärkend kontrastiert. Die aus heutiger Sicht fast schon beruhigende Einfachheit bleibt erhalten und wird zum Anlass – abseits der gewohnten Normkonstruktionen und Details – einen äusserst direkten Zugang zur Konstruktion zu erproben. Dabei werden die drei Geschosse zur Trilogie aus radikalem Eingriff (im EG), sanfter Sanierung (im 1.OG) und bescheidener Ergänzung (im DG). Das Verbinden der Räume im Erdgeschoss und die damit einhergehende, neue Offenheit birgt einige Herausforderungen, technischer aber in erster Linie gestalterischer Natur. Das Haus wurde mit Wänden erbaut , welche in ihrer absoluten Dünnheit gerade so die anfallenden Lasten zu tragen scheinen. Ein Massstabsprung ist hier grundsätzlich fremd und riskiert die räumliche Ruhe und Selbstverständlichkeit zu untergraben. Genau diese Zusammengehörigkeit und das entspannte Nebeneinander der Elemente interessieren uns hier aber besonders. Eine raumgreifende Betonskulptur überrascht auf den ersten Blick durch ihre Masse und ihre geometrische Komplexität. Sie ist Auflager für die Holzdecken, trägt die Lasten der oberen Geschosse, beinhaltet Feuerstelle, Holzlager und Kamin, zoniert Raumbereiche und prägt in ihrer Materialität und Präsenz die Stimmung und den Charakter des ganzen Erdgeschosses. Die Statik der neuen Offenheit wird nicht als strukturelles Wunder, sondern eben als gewohnte und vertraute Grösse wahrgenommen. 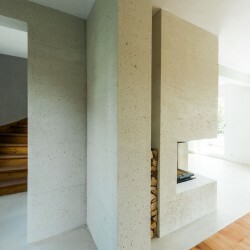 Um in den engen Platzverhältnissen dem Haus diese neue Betonstruktur einschreiben zu können, mussten die Schalung und auch das Einbringen des Betons minutiös geplant werden. Im Erdgeschoss blieb neben der Schalung nur noch ein knapper Gang für die Zugänglichkeit und das wichtige Vibrieren des Betons. Im Obergeschoss mussten bestehende Böden geöffnet werden, damit man den Beton gleichmässig über 4 Punkte einbringen konnte. Dieser ist eine eher zähe Mischung aus Weisszement und gebrochenem Kalkstein und wurde direkt nach dem Ausschalen sandgestrahlt, um die typischen Lufteinschlüsse offenzulegen und dem Materials mehr Tiefe zu verleihen. Diese Tiefe, welche atmosphärisch an die Qualitäten der alten, unversiegelten Oberflächen der Kleinhäuser anknüpft war uns ein grosses Anliegen. Der je nach Licht eher samtige oder eher raue Betonkörper, der neue geölte Zementspachtel-Boden und der ungestrichene, offenporige Kalkzement-Verputz treffen den richtigen Ton für eine selbstbewusste aber unaufgeregte Erneuerung des Raumes. 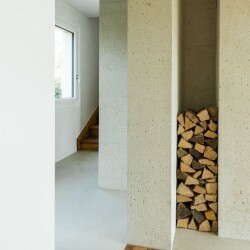 Der bestehende Holzboden wurde ziemlich unzimperlich zurechtgeschnitten und in seiner Geometrie dem neuen Ganzen angepasst. Die Teile des Verschnittes wurden verwendet, um den durch die Betonschalung zerstörten Bereich vor dem Kamin wiederherzustellen. So liegt der Bretterboden heute als charakterspendendes, teppichartiges Element zwischen Eingang, Betonskulptur und Gartenfassade. 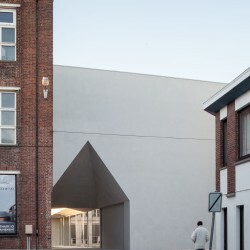 An der Gartenfassade liegt auch der einzige von aussen sichtbare Eingriff des Umbaus. Die Brüstungshöhe des Fensters zum Garten wurde angepasst. Dazu wurde der alte Fensterbank vorsichtig aus der Wand entnommen und 40cm weiter unter wieder eingemauert. Das Relief der seitlichen Gewände wurde mit Holzleisten nachgebildet und mit Beton ausgegossen. Im ersten Obergeschoss bleibt die bestehende Kammerstruktur unangetastet. Entsprechend wurden auch die Schlackeplatten an den Decken vorsichtig aufgefrischt und erhalten. Die Böden wurden wieder freigelegt und genau wie die Treppe geschliffen und geölt. Die neuen Kalkzement-Putzflächen passen sich in ihrer lebendigen Beschaffenheit zwischen das bestehende Holzwerk der Türen, Fenstereinfassungen und Deckenrandleisten ein. Hier zeigt sich im Zusammenspiel mit den raufaserigen Schlackeplatten die Qualität der Oberfläche und deren Mehrwert gegenüber den heute üblichen, synthetisch vergüteten Baumaterialien der Systemanbieter. So sind es dann auch die Feinheiten des Lichtes, die Tiefenwirkung und die Haptik eines Materials, welche die Gewöhnlichkeit als alltägliche Qualität erlebbar machen. Das ursprünglich als unbeheizter Estrich erstellte zweite Obergeschoss, bekam 1998 ein neues Dach mit zwei Lukarnen. Erst diese machten den niedrigen Dachraum mit einem Kniestock von 20cm als Zimmer nutzbar. Es entstand ein Bereich mit einer Raumhöhe von 2.30m, welcher gut belichtet ist. Die Proportionen des Raumes blieben aber unvorteilhaft und die Nischen und Restflächen neben den Lukarnen machten ihn quasi unmöblierbar. 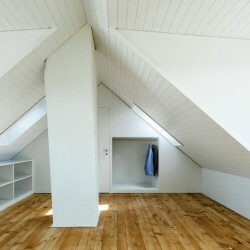 Zudem konnten weder die Lukarnen noch die getäfelten Dachuntersichten den Raum atmosphärisch tragen. 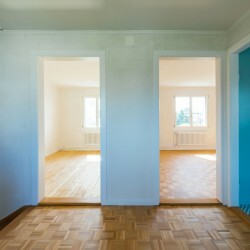 Einzig der Tannenboden und der schief im Raum stehende Kamin, also die zwei einzigen Elemente des ursprünglichen Hauses, sind identitätsstiftend. Zwei neue, jeweils 85cm tiefe Raumschichten auf den beiden Kurzseiten des Geschosses, regulieren die Proportionen und beruhigen den Raumeindruck. Wie in einem Wohnwagen werden die Wände raumhaltig und funktional. 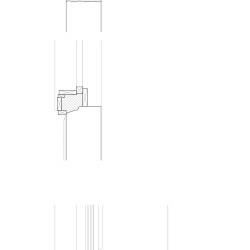 Die erste Schicht beinhaltet den steilen Treppenaufgang sowie eine übertiefe Garderobe und ein Hutfach. Gegenüber beinhaltet die Wand eine Dusche mit WC und Lavabo sowie die neue Technikverteilung des Geschosses. Auf der Strassenseite wurde auf der ganzen Länge des Raumes ein tiefes Sideboard eingebaut, welches die Raumkante weiter in Richtung des Giebels rückt. An dieser Stelle misst der Raum 1.50m und eine Möblierung mit Bett wird möglich. 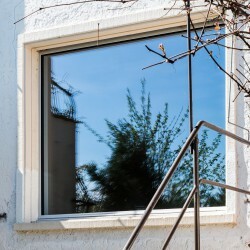 Die bestehende Täfelung, die Fensterrahmen, der Kamin sowie alle neuen Holzoberflächen wurden in einem seidenmattem Weisston gestrichen. Dies führt im Zusammenspiel mit dem weichen, lebendigen Tannenboden, zu einer gewissen Ruhe für den Raum mit den vielen Winkeln und betont die Aussicht in den Garten und auf die Nachbarsdächer.